This cannot be truer with the studio's new adventure-comedy Despicable Me 3, which continues the story of Gru, Lucy, their adorable daughters—Margo, Edith and Agnes—and the Minions. The franchise's beloved characters once again return for another memorable story on family, as they are joined by new characters for a richer, funnier tale. In Despicable Me 3, Gru (Steve Carell) is unceremoniously fired from his job at the AVL, which sends his self-esteem crashing. 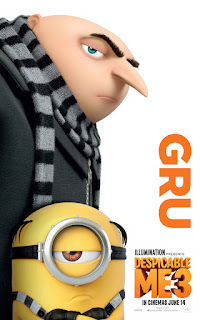 When he discovers that he has a long-lost twin brother named Dru, Gru takes his family to meet his brother in the rural island country of Freedonia—where Dru has inherited the country’s biggest pig farm. 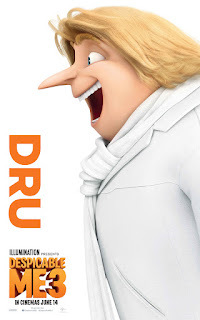 Upon arriving in Freedonia, Gru is hit with an immediate case of sibling rivalry when he finds that Dru—with his gorgeous head of flowing blond hair—is his complete opposite in every way. But when the outwardly perfect Dru asks his brother for help in pulling off the greatest heist the world has ever seen, Gru assumes the “big brother” role and his descent back into villainy starts to restore his confidence. Charming, wealthy, larger than life, and with a full head of flowing blond hair, Dru (Steve Carell), is Gru’s opposite in every way. 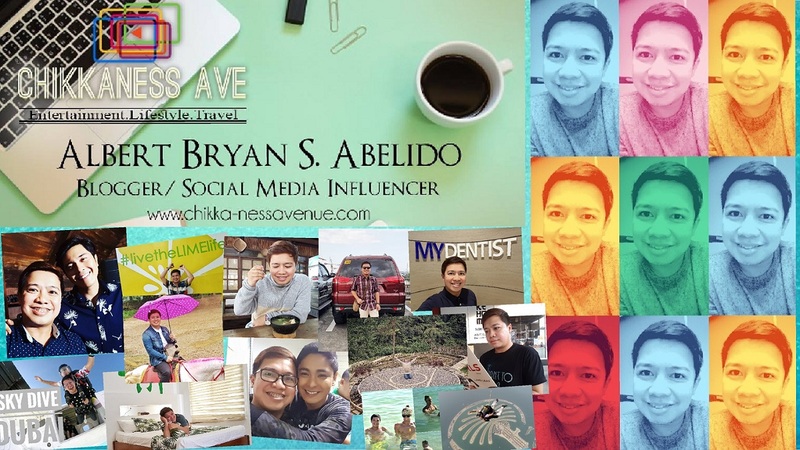 He is the life of the party and seems to be able to do everything his heart desires…except follow in the family tradition of becoming a world-class villain. Knowing that his twin is far more accomplished in that arena, Dru is able to talk Gru into pulling off one more major heist. But as the twins find themselves spending more time together, we begin to see that underneath all of Dru’s bravado is a childlike yearning to be accepted by his brother, Gru. After losing her job at the AVL for defending her husband, Gru, Lucy (Kristen Wiig) redirects her workaholic energy into becoming the perfect mom to their three girls. Masking her insecurity in this role with an overwhelming show of optimism and enthusiasm, Lucy is the first to pack her bags when Gru announces he has a brother in Freedonia. She encourages the girls to embrace the Freedonian culture by taking part in a local cheese festival with her, but Lucy’s well-intended efforts only lead to disaster when she loses track of Edith and Agnes and then almost gets Margo engaged to a weird boy from the town. Childhood prodigy, criminal mastermind…Balthazar Bratt (Trey Parker) is the former child star of the ’80s TV show Evil Bratt, where he played a kid villain bent on world destruction…that is, until he hit puberty and the show was abruptly canceled. 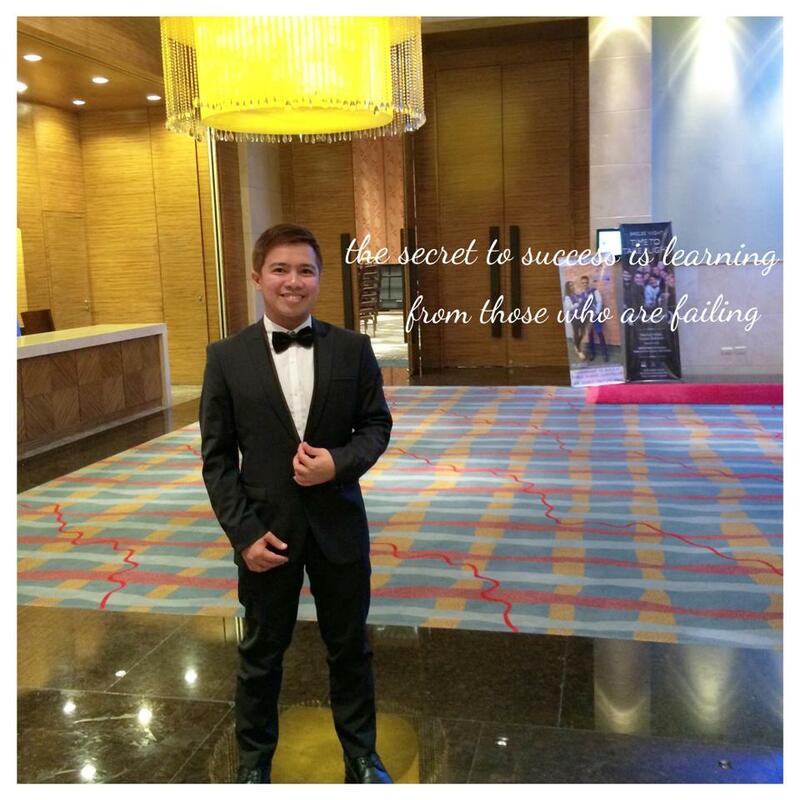 Clinging to the past with his fashion and hairstyle, Bratt has become obsessed with the villainous character he played on TV and is determined to exact revenge on the world that turned its back on him. 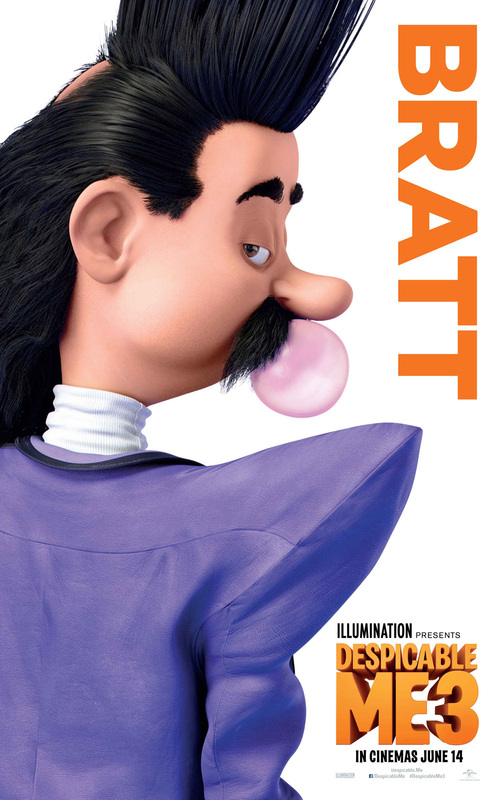 Armed with his weaponized keytar and explosive Rubik’s Cubes, Bratt proves to be Gru’s toughest nemesis yet—as he attempts to re-create the world-ending events from his favorite episode of Evil Bratt and take revenge on Hollywood. 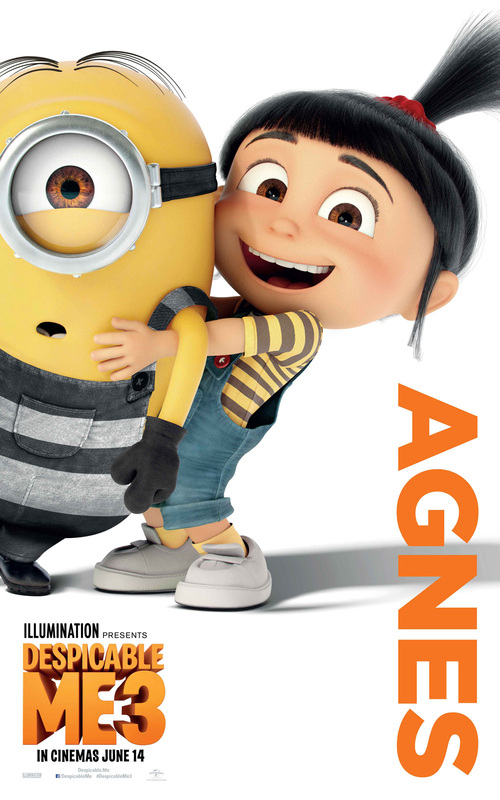 Agnes (Nev Scharrel), Gru’s youngest daughter, is innocent and selfless. 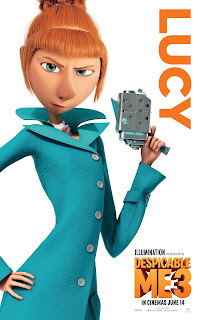 When she finds out that Gru and Lucy have lost their jobs, she does everything she can to help out her family, even if it means selling her favorite fluffy unicorn at a garage sale. Initially enthusiastic to travel to Freedonia to meet her Uncle Dru, her excitement goes through the roof when she hears that real unicorns may inhabit the nearby forest. Gru wants to protect his youngest daughter from disappointment, but ultimately doesn’t have the heart to tell her the stories might not be true. And so, heeding the local legend that “only a maiden pure of heart” can find a unicorn, Agnes sets out to fulfill her lifelong dream. With a master who’s no longer a top-secret agent in the AVL—nor interested in going back to his despicable ways—Gru’s banana-loving Minions are left without any super-cool gadgets to test or any mayhem to be had. Led by Mel (Pierre Coffin), the Minions decide to revolt and make a go of it on their own. 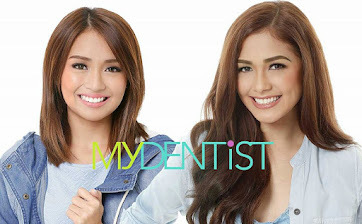 Their journey takes them to a studio lot in Hollywood, California, where—after wreaking havoc and drawing the attention of law enforcement—they accidentally wander onto the set of a singing competition show and are forced to perform. The Minions are then arrested and thrown in jail for breaking and entering. Realizing that simple survival without Gru is more challenging than they thought, the tribe decides to break out of prison so they can reunite with their former boss, unaware that he is about to face off with a very unhinged Balthazar Bratt. Opening in Philippine cinemas on June 14, Despicable Me 3 is distributed by United International Pictures through Columbia Pictures.